Whiting pioneered the development of the drop table concept. Wheel set change outs are fast, easy and ef cient when you choose a Whiting drop table. Available in single or double axle con gurations, Whiting works alongside you to build a system suited exactly to your needs. 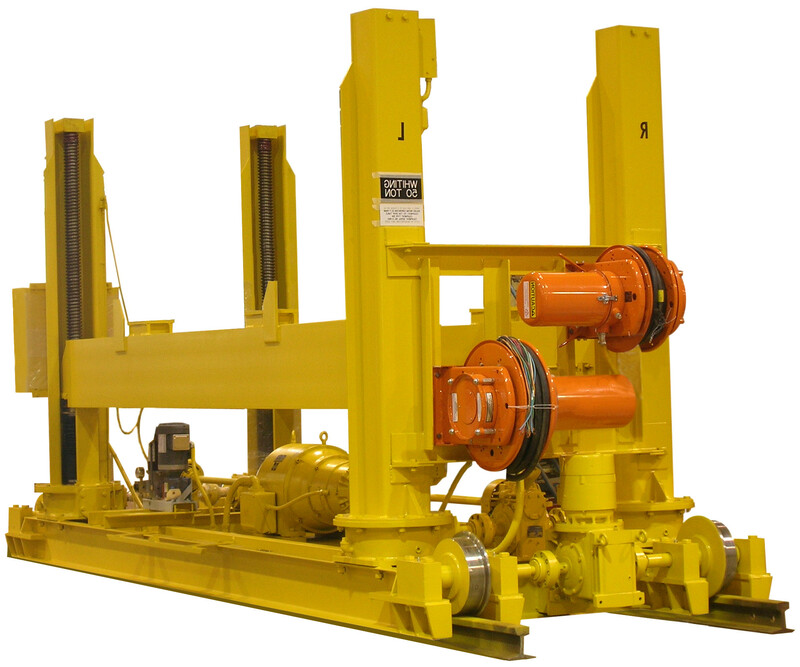 Whiting drop tables have many features that make them stand out above the rest, such as rugged body supports and girders, remote operated consoles, a range of customized capacities, self locking jack screws and optional release track tops.